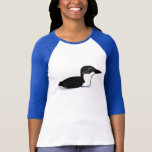 The Scripp's Murrelet is a relatively newly recognized species of seabird found in the Pacific Ocean off California and Mexico. 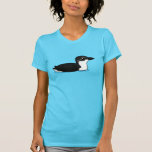 In 2012 the species was split from the Xantus's Murrelet, along with the Guadalupe Murrelet. 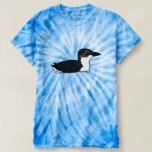 Scripp's Murrelets feed far out in the ocean outside of breeding season, though they do not typically venture as far out as Guadalupe Murrelets. 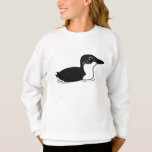 They are often found around larger pelagic fish species, like tuna. 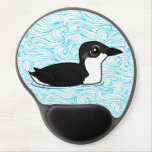 The Scripp's Murrelet feeds by diving under the water, propelling itself with its wings, in typical auk fashion. 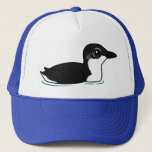 Baby Scripp's Murrelets are extremely precocial; they are able to care for themselves at a very young age. Chicks leave the nest just two days after hatching. 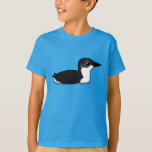 The Scripp's Murrelet is listed as Vulnerable on the IUCN Red List and was last assessed in 2014 by BirdLife International. This newly split species is listed as Vulnerable because it occupies a small range when breeding, nesting on only a few islands and islets, and is inferred to be in on-going decline owing mainly to the impacts of invasive mammalian predators. If it is found to be breeding at more than 10 locations, the species may warrant downlisting to a lower threat category.